Paul instructed Timothy, “Drink no longer water, but use a little wine for your stomach’s sake and your frequent infirmities” (1 Timothy 5:23). My father was a wine lover. I have already told you about the barrels of wine in the cellar of the stone house in Arcadia. Incidentally, Hippocrates once said that the preserved Arcadian wines were so thick you had to scrape the wine from the skin of the bottles and dissolves the scrapings in water to drink it. Imagine. 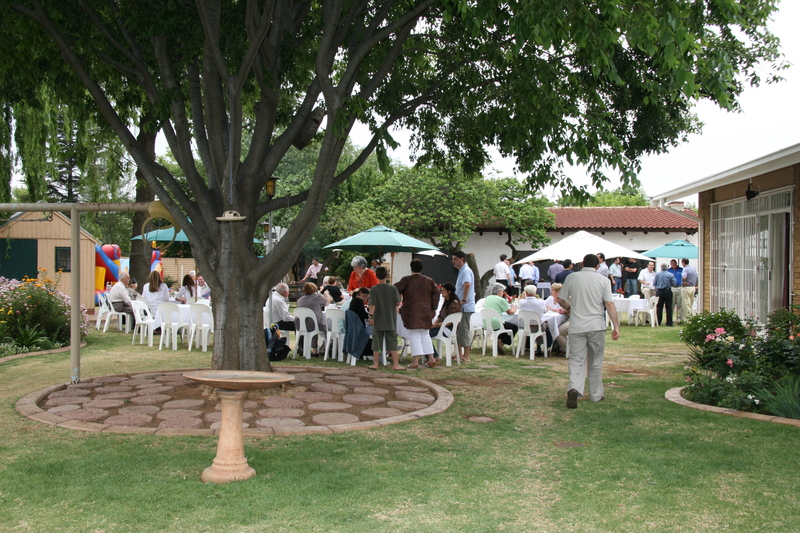 The Arcadian wine has improved with time and there are now numerous wine estates flourishing in the valley. My father would quote Timothy often if he had drunk too much wine and was questioned by my mother. He would lie in bed thumbing through his bedside Bible looking for this quote and others to support his quest to settle his stomach. He never had a cellar at his home in South Africa but always had cupboards full of cases of wine, and a bar counter in the lounge with whisky, brandy and other exotic liquors usually received as gifts. He might have had a good whisky some evenings, but enjoyed his wine at dinner. In the seventies when Kanonkop and KWV were master red wine makers he had stocks of these great wines, ready for parties in his Tavern at the back of the garden. For these occasions he would also get rattan covered bottles of Italian wine to add atmosphere to the party. The bigger bottles ended up as wall decor and the smaller bottles were used as candlestick holders. He always drank wine out of a glass slightly bigger than a shot glass. In the village this is what they used, and he imported dozens of these glasses for home in Johannesburg. We had stemmed glasses at home but they were never used. He would frown if I sat down to dinner and poured wine into a stemmed glass. His thick eyebrows would knot and he would pick up one of the small Greek wine glasses and place it forcefully in front of me, motioning to pour the tainted wine from the crystal stem into the clean unadulterated Greek wine glass. And he would launch into his explanation. “Wine must be savoured by the five senses. We can see it” and he would look at the swirling fluid in the small glass. “We can touch it.” For this he would usually hold the bottle and fill all the glasses. “Geia mas” he would say, as he raised his glass to clink the novice’s glass. My grandfather, a stodgy French Canadian, would have found much in common with your father. Cheers to a wonderful story! Thanks. The olds guys had something!. I’ve been to Napa but Monterey looks like it’s worth a visit. Keep writing!